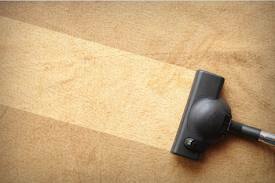 When it comes to caring for your heirloom rugs or furniture, you can’t just trust any steam cleaning company. Improper cleaning techniques, harsh chemicals or unsuitable equipment can end up doing more harm than good. Because of this, many people avoid cleaning their heirloom rugs or antique furniture upholstery. However, this allows dust and dirt to build up in the fabric and can ruin your beloved items permanently. 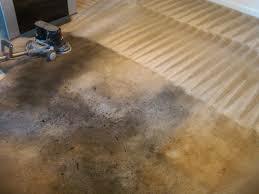 At Carpet Cleaning West London, we’ve been cleaning and reconditioning carpets and furniture upholstery for many years. This means that we’ve handled almost every type of carpet, from your regular wall-to-wall carpeting to delicate hand-loomed rugs that have been handed down from one generation to the next. If you’re looking for someone who can gently clean your treasured heirloom rugs or furniture upholstery, give Carpet Cleaning West London a call. Carpet Cleaning West London has years of experience in the cleaning and reconditioning of carpets, rugs and furniture upholstery. We take our business very seriously and we’ve spent a lot of time researching the best cleaning and reconditioning techniques for different kinds of carpets. All our cleaning technicians have undergone comprehensive training, so you can rest assured that your rugs, carpets or upholstery are in the right hands. Our cleaning technicians are familiar with the techniques and solutions that suit the wide variety of carpet fibers including wool, sisal, silk and other delicate materials. *The costs above are valid about West London. They include the required labour (cleaning hours). If additional time is needed, then supplementary costs will be applied. Minimum charge applies. Quotes over the phone are formed based on the supplied information. For gentle but effective cleaning of your rugs and upholstery, you can rely on our steam cleaning service. Steam cleaning delivers the power of heat and pressure to remove dust, dirt and bacteria from your rugs or upholstery, restoring them to their original condition. With their knowledge and training, our cleaning technicians will adjust the pressure and cleaning detergents to suit the condition and materials of your rug or upholstery. Unlike other cleaning service providers, Carpet Cleaning West London focuses only on cleaning and reconditioning carpets, rugs and upholstery. Because of this, you can be confident that your prized possessions are in safe and capable hands. In addition to trained, professional staff, Carpet Cleaning West London offers clients the most advanced carpet cleaning technology, from the methods we apply to the tools that we use on your carpets and upholstery. Our steam cleaning machinery is the newest and most effective and we only use premium grade detergents to cleanse the fibers of carpets, rugs and upholstery. All these factors combine to create the exact results you want: clean, stain-free rugs and furniture! You’ll be amazed when you see the result of a professional steam cleaning from Carpet Cleaning West London experts and our 100% satisfaction guarantee attests to our confidence in delivering the results you desire. With Carpet Cleaning West London, you’ll be getting the services of experienced and highly skilled professionals, so you’ll never have to worry about damage to your treasured items. Isn’t it about time that you had those precious heirloom rugs or upholstery cleaned? Schedule a visit from our cleaning crew today and get ready to see your rugs or furniture upholstery restored to their former splendor.